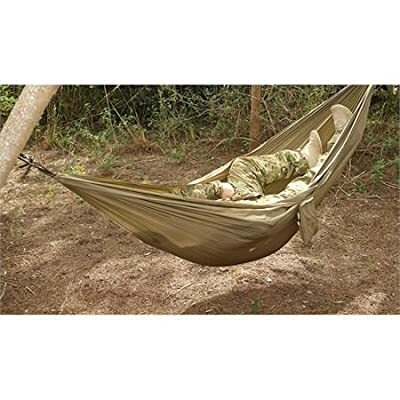 Comfortable Cotton Fabric: Constructed of tightly woven, soft fabric, cotton hammocks offer soft, comfortable relaxation, they are designed for cooler temperatures, restricting airflow and preserving body heat. 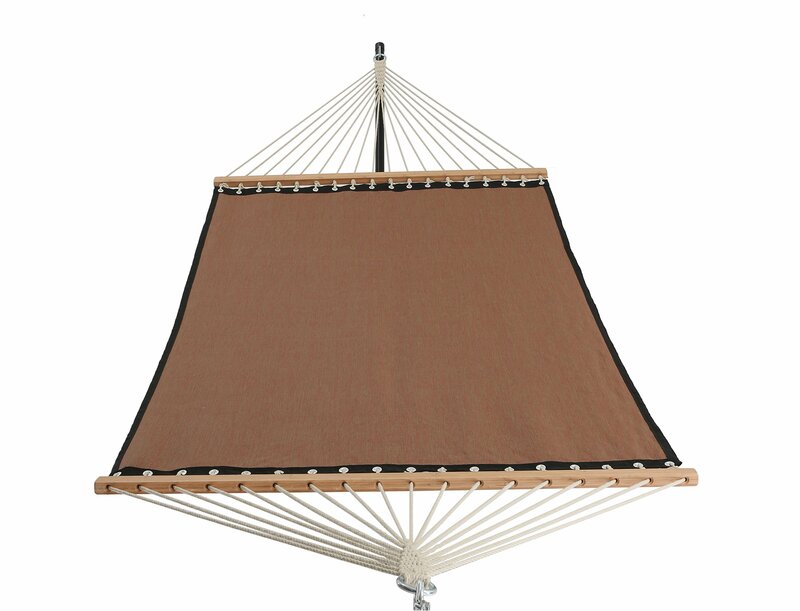 Extra bed room and a lower hang to the ground make it popular, so prepare to relax and enjoy a peaceful nap. 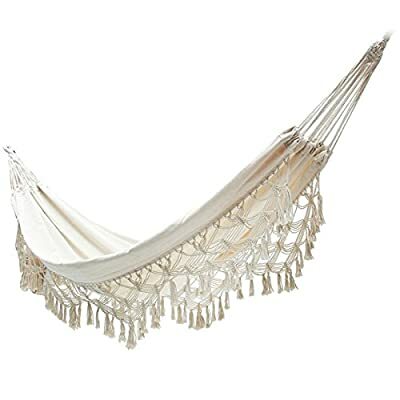 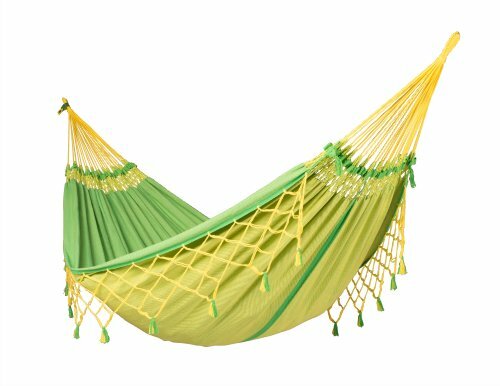 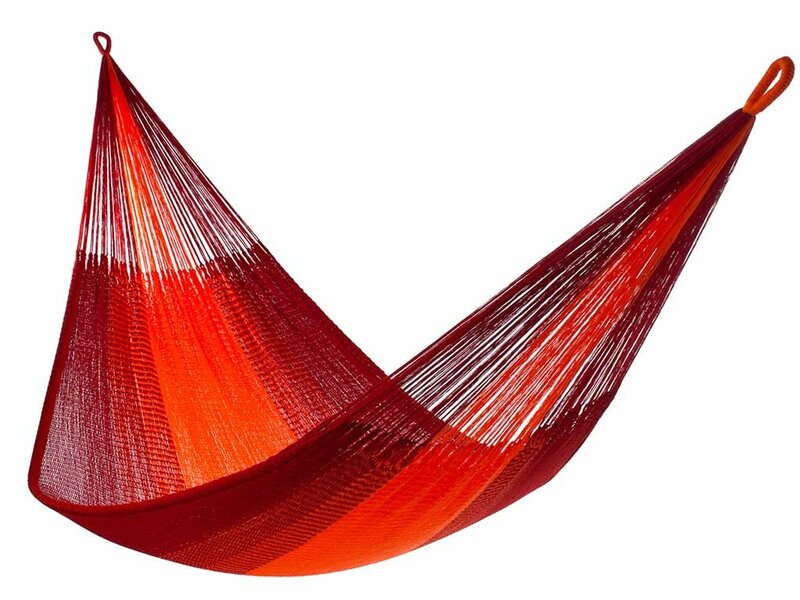 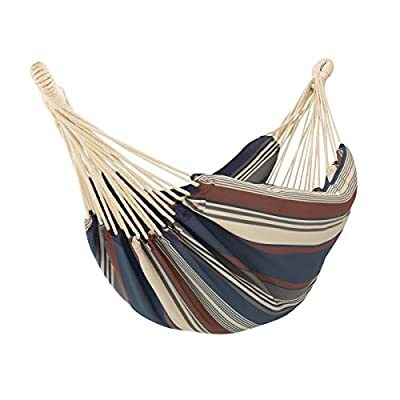 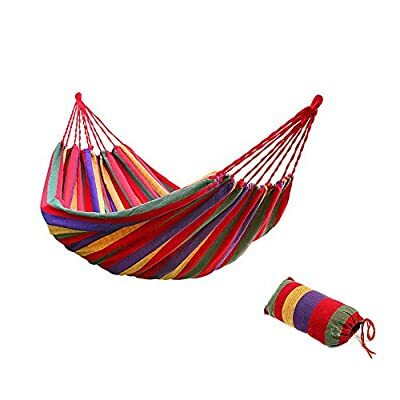 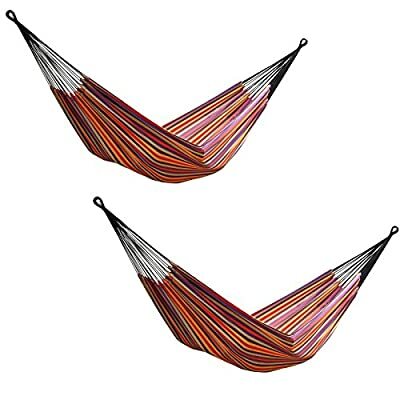 Durable With Great Capacity: Colorfast mildew-resistant, machine-washable fabric cotton of durability is the highlight of this Brazilian hammock. 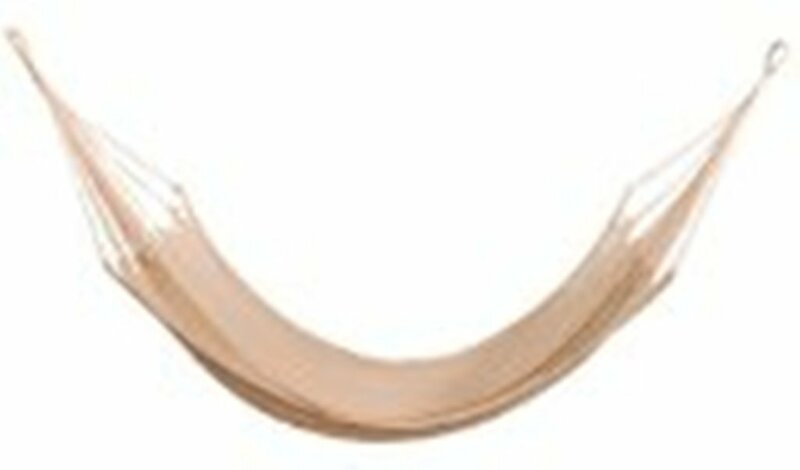 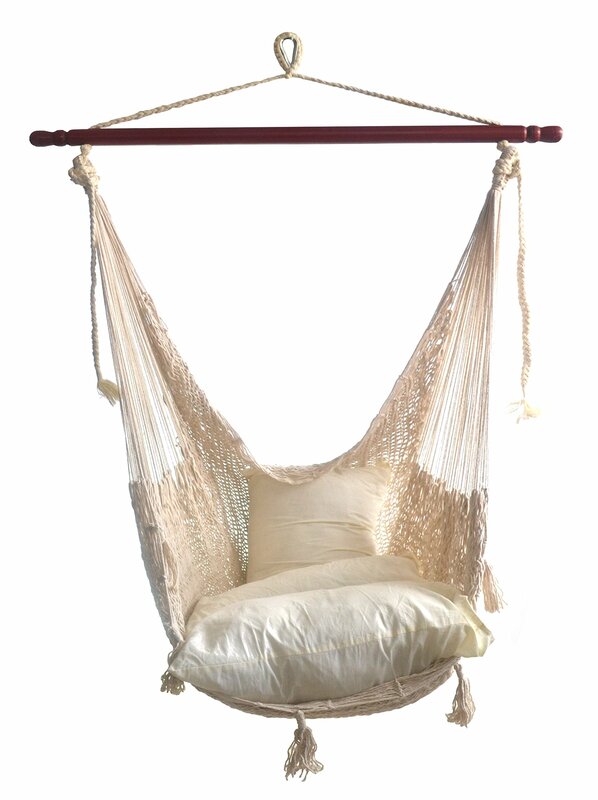 It is strong enough to holds up to 450 lbs. 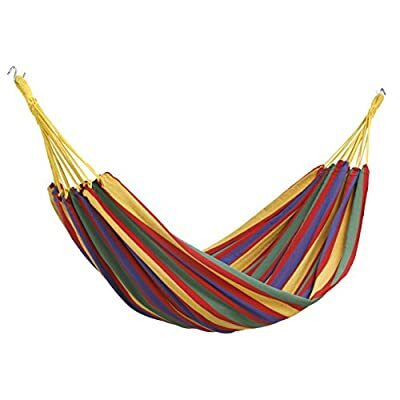 Fast: It takes about two minutes to set up the cotton hammock. 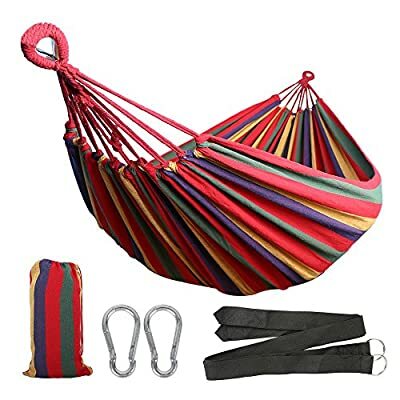 It comes with 2 carabiners and 2 black wide straps with steel rings at one end. 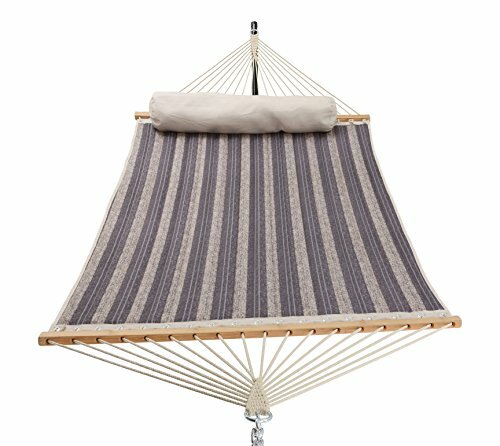 You can attach the hammock to a hammock stand or hang it to the trees. 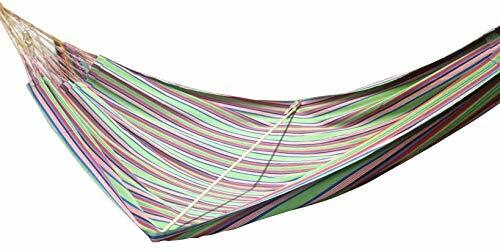 You will enjoy the freedom the stand provides by allowing you to set up your hammock fast in the most convenient location. 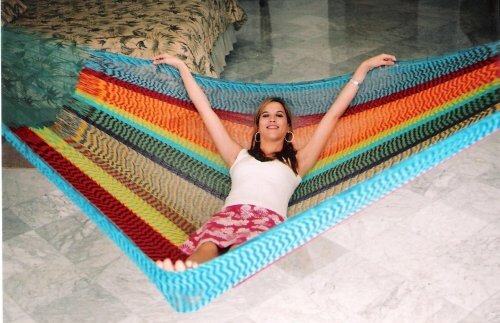 RELAX IN STYLE: Beautiful and handmade in the Yucatan using ancient Mayan weaving techniques, you’ll get lots of compliments from your friends. 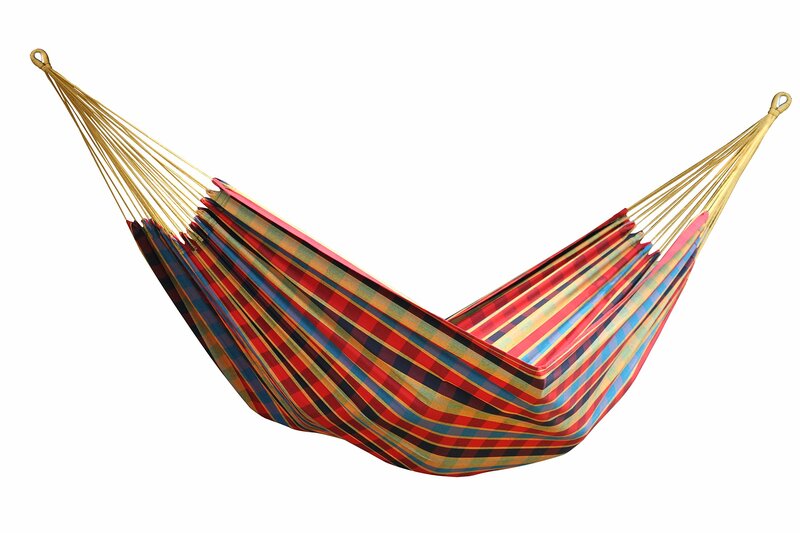 IT’S VERSATILE: For napping solo or it can be the perfect family or 2 person hammock. 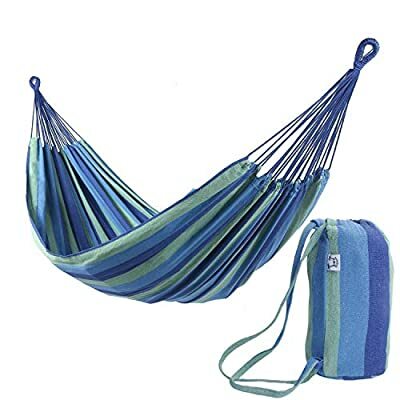 It’s a portable hammock that you can use to read a book, take a nap, or daydream in the backyard, at the beach, or use it as a porch or patio hammock. 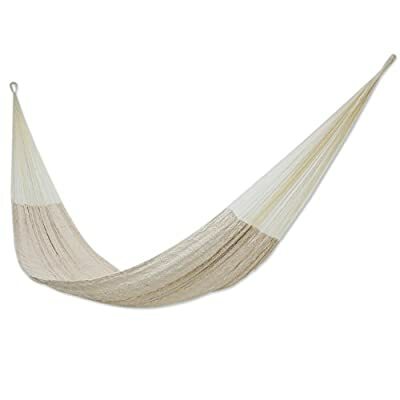 You may even want to use it as a hammock bed to sleep in like the ancient Mayans did! 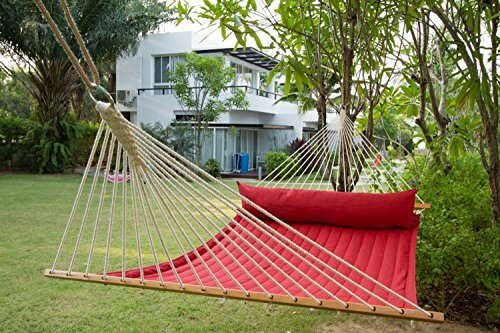 Upgrated Size:Extra wider and longer overall size 142*63 Inch and Bed Size: 94*63 Inch.Listen to customer’s voice and we have made effort to make the hammock longer and wider to make lie on more comfortable. 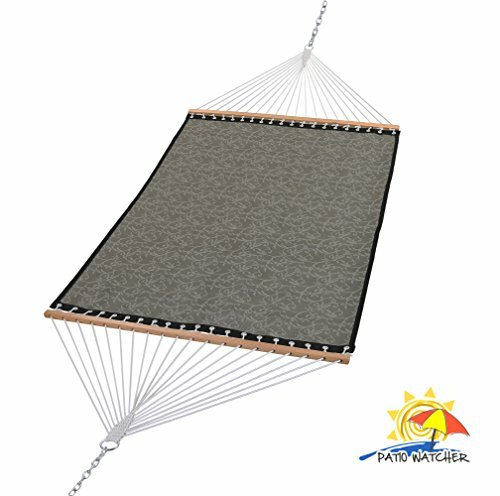 Static Capability: Holds up to 450 lbs securely. 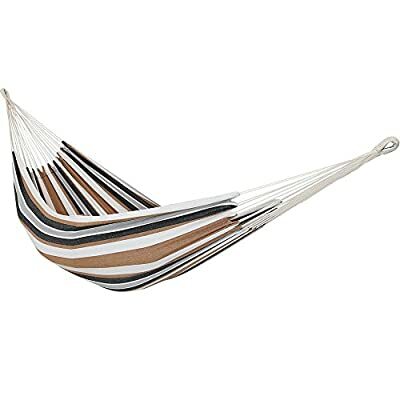 Durability: Sturdy construction with Soft Cotton and well-made thick polyster fabric.